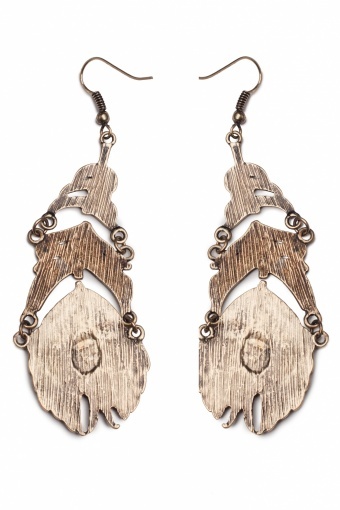 Boho Chique Rhinestone Feathers bronze earrings. True beauties this earpendants in warm bronze coloured metal. These peacock feathers consist of three loose and movable parts so they always hang down perfectly. 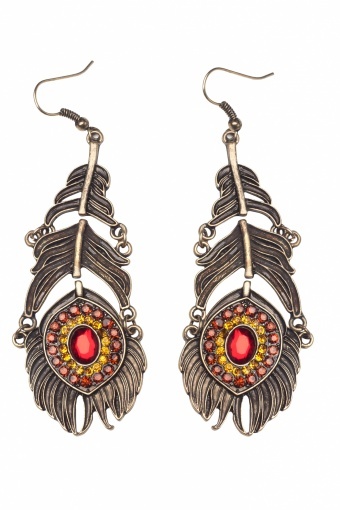 The eye of the feather is richly decorated with rhinestones in warm colours. Wearable in all seasons.